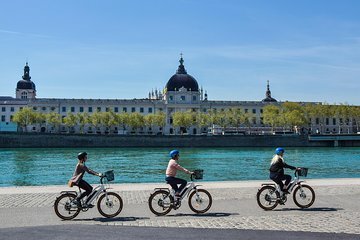 Choose how much you want to exert yourself on this electric bike tour of Lyon. With the electric pedal assist, you can cover lots of ground in a short amount of time, moving easily through the city. Focus on the highlights of Lyon, checking all the must-see sites off of your list in just a few hours. Listen to guided commentary on the culture, architecture, and history of Lyon as you pedal.